Great condition. Be careful on the opening four holes otherwise you’ll get your feet wet! Wide fairways do not make it easy though. Lovely views and a nice design where the greens are the real difficulty. 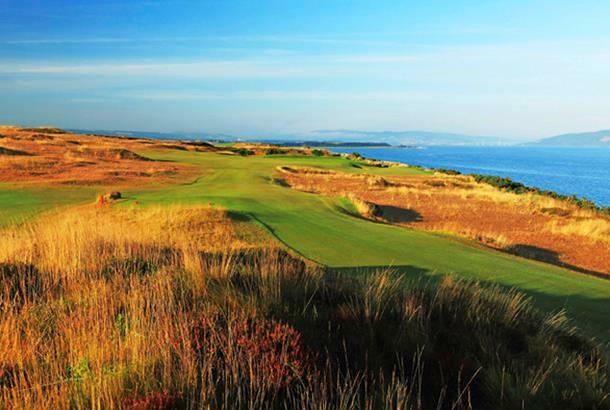 Designed by Mark Parsinen and Gil Hanse the Castle Stuart Golf Links, is a new championship links course overlooking the Moray Firth. Well known landmarks such as Castle Stuart, Kessock Bridge and Chanonry Lighthouse can be seen from the course making it a visual experience unlike any other in golf. The resort will include a small luxury hotel and spa, 'resort ownership' lodges and apartments, plus a second seaside course. The 'art deco' style clubhouse has stunning panoramic views over the Moray Firth. Distinctive course features include 'rumples' which are areas of uneven small hillocks and hollows, bunkers, infinity edges and landscape mosaic. I've played a few prestige courses in my time but Castle Stuart has to be the best of all. We were blessed with beautiful weather and the experience was a dream. Every hole has something special, we stood on most tees and said "Oh my God-how good is this"! The views of the Moray Firth, Castle Stuart itself and the clubhouse are stunning. Don't expect to score 36 points because it is not easy; the fairways,however, are wide so you do have to open your shoulders off the tee. Greens were being protected and slightly slow prior to the Scottich Open but I'd guess they could be superb on other occasions. It's difficult to speak highly enough of Castle Stuart, whatever it costs, it's worth it! !